Imagine the dinosaurs, imperiously soaring, loftily above lowly, scurrying mammals. They are the rulers of all they survey from one horizon to the other. Is this hierarchy confined to a prehistoric scene, 100 million years ago? No. This is our world, today. The name “dinosauria” was first used by biologist Richard Owen in 1842, at around the same time that Charles Darwin had formed his theory of natural selection. On the Origin of Species, Darwin’s seminal work beautifully describing his theory, was published in 1859. In the years immediately following publication, fossils of a particular animal were discovered that would shock scientists and add much needed evidence to the debate about evolution. These were from southern Germany and were of a wholly unknown species. It was given the name Archaeopteryx, meaning “ancient wing” or “ancient feather”, due to the clear remains of fossilised feathers around its body. It dated from roughly the middle of the Age of Dinosaurs (referred to as the Mesozoic era). The first fossilised skeleton of Archaeopteryx was discovered in 1861 and was so peculiar it caused a sensation. Possessing features that seemed both bird like (or avian) and reptilian, some wanted to categorise it as a type of dinosaur, while Richard Owen decided it was a bird. Biologist Thomas Huxley, nicknamed Darwin’s Bulldog due to his vocal support of natural selection, declared that it was a transitional fossil, its intermediate nature showing the evolution of birds from a dinosaur ancestor. When On the Origin of Species was originally published, the fossil record was limited, with few, if any, notable examples of transitional species. Darwin’s reference to them is unsurprisingly guarded as a result yet Huxley and others soon trumpeted Archaeopteryx as the evidence supporting evolution that the theory’s critics said had been missing. Archaeopteryx was coupled with other striking examples from newly discovered fossils, most notably the gradual evolution of the horse in North America from small, multi-toed animals to the present much larger one toed animals. Evolution occurring through the transformation of species was becoming clearer as more fossils were uncovered. Yet the dinosaur origin of Archaeopteryx and by extension birds, whilst popular, was not accepted by everyone in the nineteenth century and later many scientists renounced the idea. The early twentieth century saw the ascendancy of a theory that the origin of the birds lay in a more primitive family of reptiles called thecodonts (a now obsolete term) that predated dinosaurs. An apparent lack of clavicles (or collarbones) in dinosaur fossils at that point distinguished them from modern birds, which all had clavicles, and this formed the foundation for the thecodont origin theory. The thecodont origin of birds became the generally recognised wisdom on the issue until the late twentieth century. Any similarities between early birds and the smaller dinosaurs they had been compared to, such as Compsognathus, were a coincidence due to convergent evolution and nothing more. This coincided with the prevailing popular concept of dinosaurs as large, slow, cold blooded creatures. The word “dinosaur” became an insult for anything that was behind the times, moribund and on the way to extinction. Dinosaurs were considered by some as uninteresting animals that had only lead to an evolutionary dead-end when they all died out at the end of the Mesozoic. It is tempting to think of ideas about dinosaurs as largely being unchanging, given that they existed so long ago. Once facts are discovered about them, that must be it, we might think. Yet like all areas of science, new discoveries often lead to old ideas being challenged and a long established concept may evolve into new, fresh insight. The sixties were a time of revolutionary thoughts in many areas, including dinosaurs. New findings concerning a relatively small carnivorous dinosaur called Deinonychus lead paleontologist John Ostrom to the conclusion that some dinosaurs, at least, had been active, energetic animals with sophisticated capabilities and not such lethargic, dull beasts after all. Further studies indicated that dinosaurs were warm blooded, like mammals and birds, and not cold blooded like other reptiles. This revisionism went further. Ostrom noted the numerous similarities between Deinonychus and the earliest birds, including Archaeopteryx, and declared that the apparent lack of a clavicle in dinosaur fossils was an insufficient basis for rejecting the dinosaur-origin theory. Other fossils, including those of Tyrannosaurus Rex, made it clear that dinosaurs had a clavicle in any event. This new approach was very controversial and the subject of heated debate for a number of years. Unlike On the Origin of Species, it was to be several decades before fossil evidence caught up with theory. 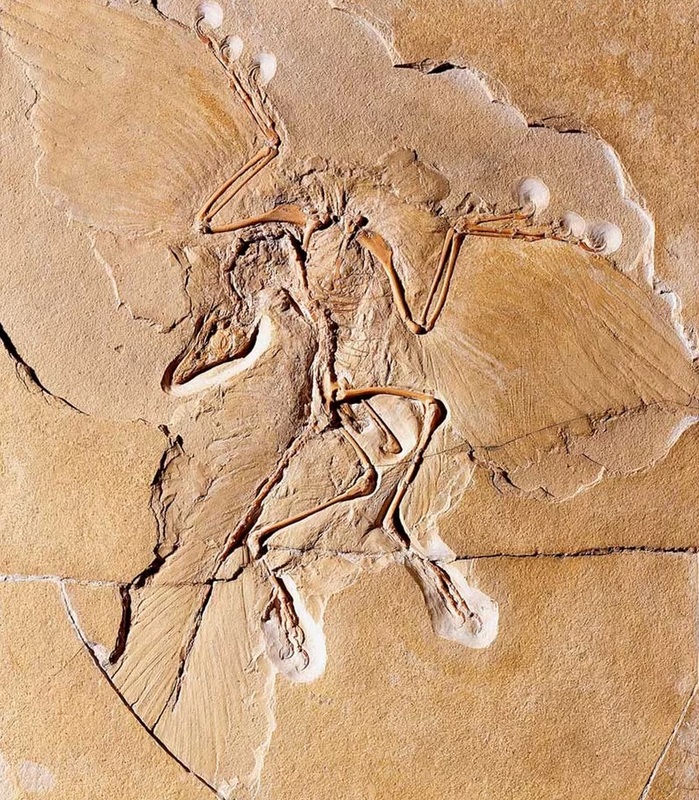 Starting in the nineties, spectacular new fossils from the Mesozoic were uncovered in China, revealing a range of new avian species from the era. These included bird like animals that pre-dated Archaeopteryx. All of them were clearly similar to dinosaurs. Perhaps even more shocking was the discovery of fossils of feathered dinosaurs, again from China in the 1990s. The absence of feathered dinosaurs prior to their discovery had been a point that opponents of the dinosaur-origin theory had relied upon. Their discovery strengthened the link. The presence of feathers has been discovered for a number of dinosaur species, mostly small carnivorous types belonging to the coelurosaur group (or clade), including relatives of Compsognathus and even species closely related to Tyrannosaurus Rex. Paleontologists now believe that many species of dinosaur, possibly including Tyrannosaurus Rex itself, had feathers, or feather-like, coverings. With this new wealth of fossil evidence, many paleontologists accept that birds evolved from dinosaurs. Indeed, so close is the relationship that birds are considered to be part of the dinosaur group. Specifically, birds are part of the coelurosaur clade of dinosaurs and are the only dinosaurs that did not die out at the end of the Mesozoic, some 66 million years ago. Two families of feathered coelurosaurs, the troodontids and the dromaeosaurids, are considered to be the closest relatives of the birds and, like all the other non-avian dinosaurs, became extinct at the end of the Mesozoic era. They are normally viewed as having evolved from the same earlier dinosaurs that gave rise to the birds themselves, in parallel with Archaeopteryx and the others. They kept their feathers but did not attain flight, unlike the avian dinosaurs. Reconstructions of these species suggest animals that were weirdly bird like, yet maintained a distinctly dinosaur, alien quality about them. So bird like are these two families, some have suggested in fact they belong to the avian dinosaurs themselves and so are directly descended from earlier birds. In a similar way to ostriches and emus, these birds lost the ability to fly but retained their feathers. So, not only are birds really dinosaurs, some (normally considered to be non-avian) dinosaurs may have actually been birds! Following the end of what is usually thought of as the Age of the Dinosaurs, that is 66 million years ago, birds flourished and evolved into the multiplicity of forms that we know today. Some are highly intelligent animals and all of them are superbly adapted to their environment. Of the land dwelling vertebrate animals, the birds are the most successful, having the highest number of species. They live on every continent and for every one human, it is estimated that there are roughly forty birds. It is truly the Age of the Birds. If, as we have seen, birds are in reality dinosaurs, then the great Age of the Dinosaurs did not vanish but continues to thrive today. During the Mesozoic, mammals were generally small animals, scurrying furtively to and fro, out of the way of their dinosaur superiors. An Allosaurus, Diplodocus or Corythosaurus might march by, unimpressed by our ancestors’ existence, towering above the furry beasts. And in our time, when we look up and spy the eagle, the pigeon or the seagull soaring serenely above our heads, occasionally deigning to look down at us scuttering about, we might wonder, perhaps with a little imagination, has anything really changed? 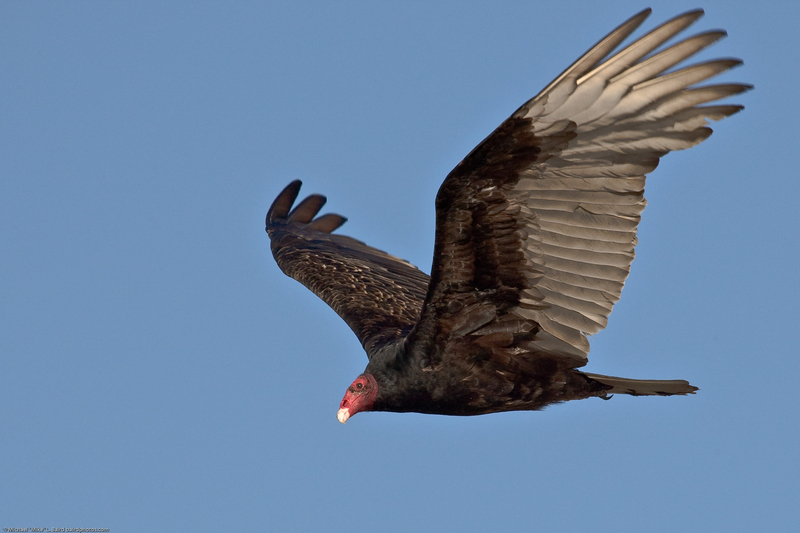 This entry was posted in The Science-Minded Citizen and tagged birds, dinosaur, mammals. Bookmark the permalink.